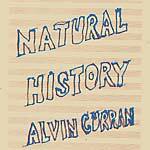 "American composer and multi-instrumentalist Alvin Curran has remained one of the great emblems of experimental music for the last half-century. In 1966, along with Frederic Rzewski and Richard Teitelbaum, Curran co-founded Musica Elettronica Viva, a seminal gesture in collective free improvisation. In the early 1970s, his solo work would become a crucial bridge between minimalist traditions on both sides of the Atlantic. 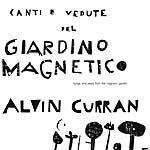 Canti E Vedute Del Giardino Magnetico, Curran's solo debut, was recorded by the artist himself and issued on Ananda, the small Italian imprint started by Curran and fellow composers Giacinto Scelsi and Roberto Laneri. The piece itself was put together in the winter of 1973 and presented for the first time at Teatro Beat 72 (Rome's The Kitchen). Encouraged by the work of Terry Riley, La Monte Young, Charlemagne Palestine and Simone Forti, Curran binds the listener to aberrant notions of place and time: blending field recordings (wind, high-tension wires, beach waves, etc.) with simple and often primitive instruments. Across two sidelong tracks, Giardino Magnetico forms a lyrical collage of synthesizer, glass and metal chimes, plastic tubes, brass and the composer's alluring voice, converging in an immersive realm of Curran's inner / outer experiences. This first-time vinyl reissue is recommended for fans of Harry Bertoia, Michel Redolfi and Lino Capra Vaccina." 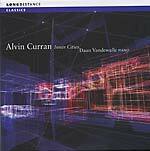 Although Alvin Curran is almost universally recognized as one of the leading figures of the late 20th century musical avant-garde, he has never received the recognition he deserves in the form of a proper publication. This is, in fact, the first book ever to present a complete and coherent picture of this gigantic figure of experimental music. 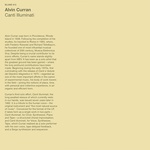 A radical experimentalism and a kind of innate volatility have, in fact, long kept the person and the work of Alvin Curran, one of the historic founders of the group Musica Elettronica Viva (MEV), at the margins of contemporary musical historiography. His vast and all-inclusive experience refuses to fit into the common schemas and cubbyholes, excluding him from the conceptual straitjackets of current Western musicology. Lavishly produced and conceived, this book is centered around extensive descriptions of the most important works and compositional techniques, providing a historical account of Curran's musical concerns and changing style: in permanent flux between two distinct cultural geographies (Italy and USA), sensitive to an infinity of pressures, encounters, transformations, and provocations, Curran's artistic voyage is presented here through a comprehensive historical and critical study that avoids buzz-word definitions and gives great respect to his otherness -- an otherness clearly and happily a part of the variegated musical universe of our time. Gathered for the first time in a single monograph, the contributions of several of the foremost Italian and international scholars -- enriched by an astounding "travel log" by Alvin Curran himself and by unpublished images from his private archive -- confirm the role of this composer-performer-teacher-writer as a major contributor to the evolution of artistic languages in the late 20th century and beyond. Edited by Daniela Margoni Tortora. 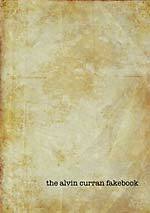 300 pages, softcover, in Italian and English. "I am happy to stand again in front of all these free-wheeling tone paintings and look back -- embracing both their concrete and their purely ephemeral, abstract qualities -- while reflecting on how much these four seminal works determined the music I made afterward, similarly inspired by the rhythms, colors, and eternal durations of nature and the immediacy and knowledge of making music with anything at hand." 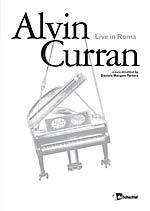 --Alvin Curran "This historic collection gathers together the four seminal solo albums recorded by Alvin Curran (b. 1938) in the 1970s. Two, Fiori Chiari Fiori Oscuri (1974) and The Works (1976), are making their first appearance on CD. Author/critic Tim Page, an early advocate of these works, writes, 'Curran weaves electronic technology, an occasional acoustic instrument, voices and musique concrète ('found' music) into a multi-hued tapestry of sound. He holds these dissimilar elements together with a compelling subliminal musical consciousness; the listener never feels that Curran is deliberately being clever, or that he is out to impress, shock or self-consciously 'expand the musical language.' Curran's eclecticism is not willful; his sounds are there because they fit, and they convey a subtle and ingratiating sense of mysticism. These challenging, multi-faceted compositions manage, through their very catholicity, to synthesize and perfect a striking new musical syntax uniquely Curran's own.'" 2005 release. "Stylistically follows in the wake of his Tzadik release Animal Behavior, to the extent that a plethora of alienated, musical sounds become a single piece of music when altered and thoughtfully mixed together. During his Angelica Festival performance (which was the impetus for this recording), his computer crashed and, by means of a pre-recorded phoneme voice, uttered the syllables, 'It's not my fault. Please make sure the Apple Talking Network is connected.' This happy accident inspired Curran to re-evaluate both our penchant to so strongly rely on technology, and the propitious results when such technology leads the artist into unexplored and unimagined territories by reason of necessity. From this standpoint, the composer examined the entire recordings from all 10 past Angelica Festivals from 1991 to 2001, and set about to mix disparate but somehow complimentary performances together to create a new work. These are otherwise impossible combinations: Fred Frith plays with two Eskimo women. Pavarotti plays with Mike Patton, etc. that logically should not work. But as the world becomes smaller and smaller by means of technology, by design, these instances certainly do. The outcome, while certainly intense, is by no means a nod to the world of lazily thrown together noises or shock-tastic-shivarees; instead, Curran's penchant to carefully consider all of the elements at his disposal left him with a full palette of possibilities for excellence and innovation." Performed by Daan Vandewalle (piano), 4 hours, 24 minutes worth. 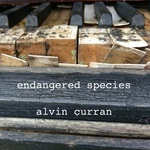 "Alvin Curran's music-making embraces all the contradictions (composed/improvises, tonal/atonal, maximal/minimal) in a serene dialectical encounter. His more than 100 works feature taped/sampled natural sounds, piano, synthesizers, computers, violin, percussion, shofar, ship horns, accordion and chorus. 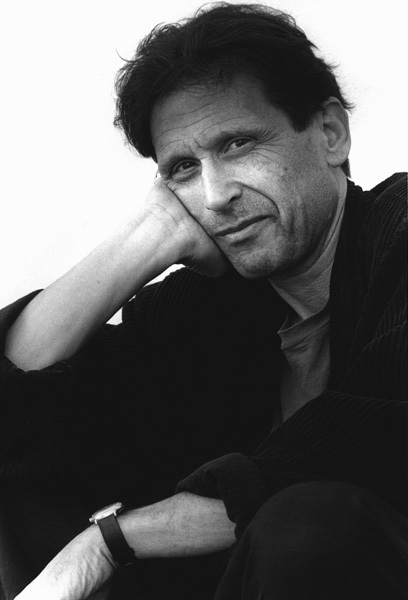 Whether in the intimate form of his well-known solo performances, or pure chamber music, experimental radio works or large-scale site-specific sound environments and installations, all forge a very personal language from all the languages through dedicated research and recombinant invention. The composer says of Inner Cities, 'This music is open, unhurried, brutally lyrical, quiet, private, and tonal as it is raucous, aggressively impolite and obsessively meticulous in making the simple relations between tones and durations an unending adventure of personal wonder. My goal, as always, was to reduce the musical elements to their ultimate essences, to repudiate and embrace dualism, and to emulate, even in permanent notation, the feel of spontaneous music-making.'" Featuring the foghorns and other maritime sounds of the U.S. Eastern Seaboard and solo improvisations by John Cage, Joseph Celli, Clark Coolidge, Alvin Curran, Jon Gibson, Malcolm Goldstein, Steve Lacy, George Lewis, Pauline Oliveros, and Leo Smith. "Rich in ambient detail, Maritime Rites presents the foghorn as indigenous American 'found' music par excellence and the source of one of the most enduring minimal musics around us. The series is also a comprehensive aural documentary of our regional and national maritime heritage including such historical sounds as the Nantucket II Lightship, now out of service and doing service as a museum docked in Boston Harbor. The Lightship's horn is the only one of its kind (and the loudest!) on the East coast and was recorded extensively during an exclusive session ten miles off shore with the special cooperation of the ship's crew. As the foghorn gives way to other electronic navigational aids, this work may serve as a historical document of some of the most beautiful and mysterious sounds of the sea. As an expression of sonic geography, Maritime Rites brings together different areas of the Seaboard in a single musical moment. The series was expressly conceived for radio, the only medium that can safely accommodate over sixty foghorns at once and bring an entire coastline, seemingly live, into anyone's home! An essential document for anyone interested in sound art."